Craobh Éamonn ÓMuirí CCÉ branch was well represented at the Ulster Fleadh in Castlewellan 2018. Among the winners were Aoibheann Morrison, 2nd in concertina; Muireann Harraghy 2nd in Harp, slow airs and 3rd in harp under 18; Aoife McCague, 3rd in piano under 18, Lauren Morrison, 3rd in accompaniment under 2, Ava NiMhoildearg, 2nd in Irish singing under 18; Caitriona Sherlock, 3rd in Senior singing; and Mary Nuala McSkeane qualified in Comhrá under 13. 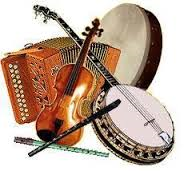 Well done to the under 12 and under 15 ceili band, and the under 15 and senior musical groups who did us all proud. Thanks to our tutors Edel and Noreen for their dedication.